I went to the day long course on Monday given by KDAB, about QtQuick for Qt5, and it was excellent. I had used Qt4 and QML for a Symbian phone project earlier this year, and the combination worked very well. I can't say I done a lot in the past year with advancing KDE bindings, but I'm hoping to reboot my efforts here in Tallinn. An important part of getting enthusiastic about KDE again is meeting the people, and of course drinking the right beer whilest doing so. I arrived in Tallinn yesterday and so far I think it is a great venue with excellent beer and food available at reasonable prices. Maybe it isn't the most perfect place for vegetarians, but I don't think that should be a show stopper. I thought I should try and summarise my findings so far. I'm not sure really. We have been discussing this question on the Codethink irc channel today, and I think probably Tizen't. I think the main point of HTML5 is that it runs everywhere and is platform independent. Once you create a platform that uses HTML5 plus its own extensions it really isn't HTML5 anymore. 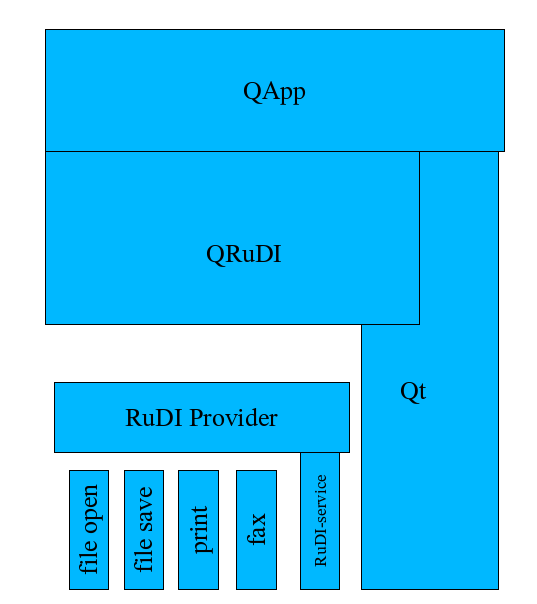 Giving up on Qt and going for some as yet unspecified native toolkit doesn't seem to be a good way to please and developers who have commited to MeeGo. Read more about Tizen or Tizen't? I've been following the development of the Raspberry Pi computer, which is a small ARM based device costing only 25-30 euros. It is designed to plug into TVs, and is targeted at teaching kids to learn programming. I was excited to read today that the KidsRuby programming environment is running on a Raspberry Pi. You can read some of Liz's other blogs for more details about the Raspberry Pi's progress. The Berlin Desktop Summit was great, and I think it is about time I wrote something about my thoughts. I wanted to try out Fedora 15 with Gnome 3 running under VirtualBox on my iMac before I went to the Berlin Summit. I've already tried using Unity-2d on Ubuntu, and I thought I if I had some real experience with Gnome 3 as well, I could have a bit more of an informed discussion with our Gnome friends and others at the Summit. Recently there was an post on Hacker News about collective nouns for birds in English. I run loads of virtual machines on my computer and I wonder what they should be called - 'a herd of virtual machines'? I have the mediocre Windows 7 Home Premium, and I wonder if that should be called a 'A badling of windows' after the phrase 'A badling of ducks'. Recently I've been working on the smoke-gobject bindings in the evenings and weekends. Although I'm working on other things for my job at Codethink during the day, I'm sufficiently excited about these bindings to be unable to stop spending my free time on them. This is at the expense of working on the new version 3.0 of QtRuby sadly. I'll try to explain on this blog why I think the Smoke/GObject bindings will be important for the parties attending the forthcoming Desktop Summit to consider, and why I'm giving them a higher priority than Ruby. I arrived on Wednesday evening and we had arranged to meet in a bar called 'Brauhaus Lemke' in Hackescher Markt which is quite near Alexanderplatz. It did look easier to find on the map than it actually was, but Hackescher Markt is a great place. There is a big square with loads of bars that have seats outside. The Lemke is slightly off the main square. A couple of years ago I started on a project to create a Qt language binding using the Gnome GObject Introspection libraries to generate QMetaObjects, so that it would be possible to base a language binding on a dynamic bridge between the two toolkits. I started a project in the KDE playground repo, and then Norbert Frese joined in with a companion project called go-consume that was based more on static C++ code generation.